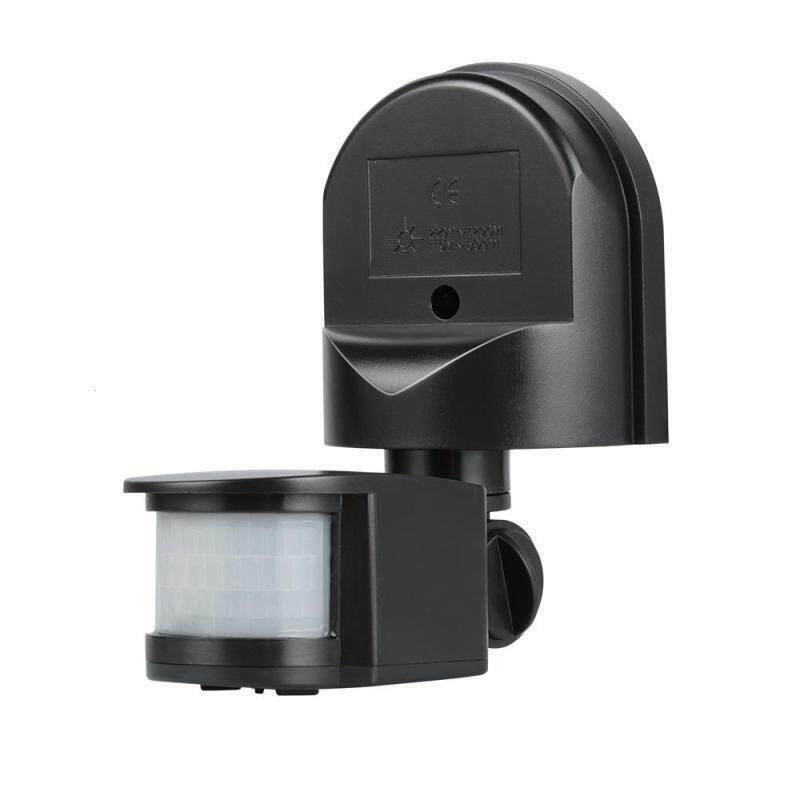 Adopts advanced human infrared detection technology and optical controlled technology. By detecting the heat movement of human body to control the light switch, also can be controlled on/off by the natural light level. The light will on when people arrive the sensing area, and the light will automatically close at the set time when people leave. Energy saving, safe and convenient for your life. 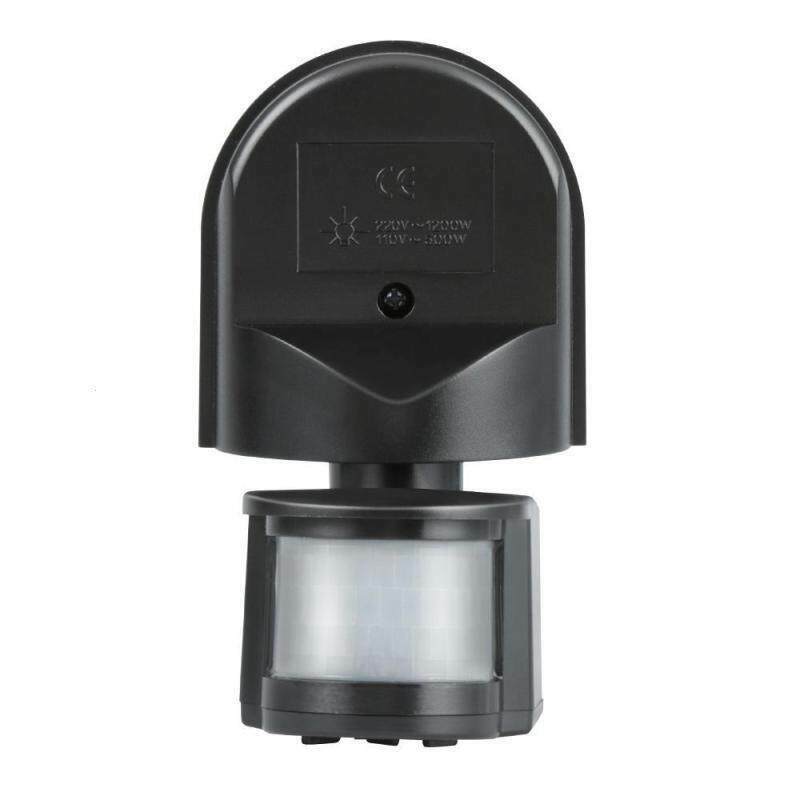 The detection range includes a horizontal and vertical detection range and the distance of detection can up to 12m away in optimum conditions for vertical detection. 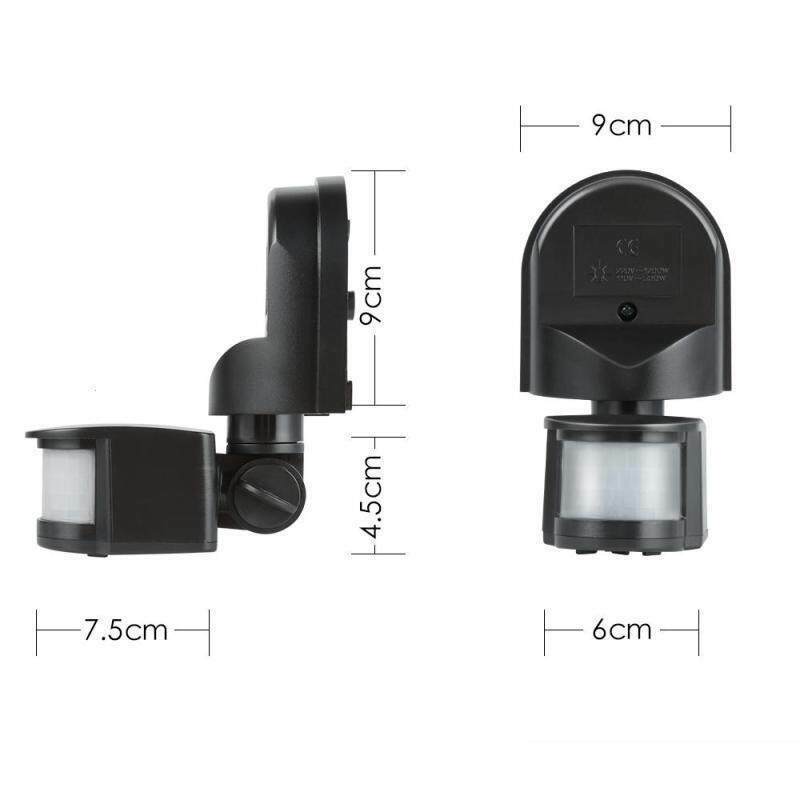 In addition, the detection range could be adjusted according to your desire, but the moving orientation in detection range has great relation with the sensitivity. 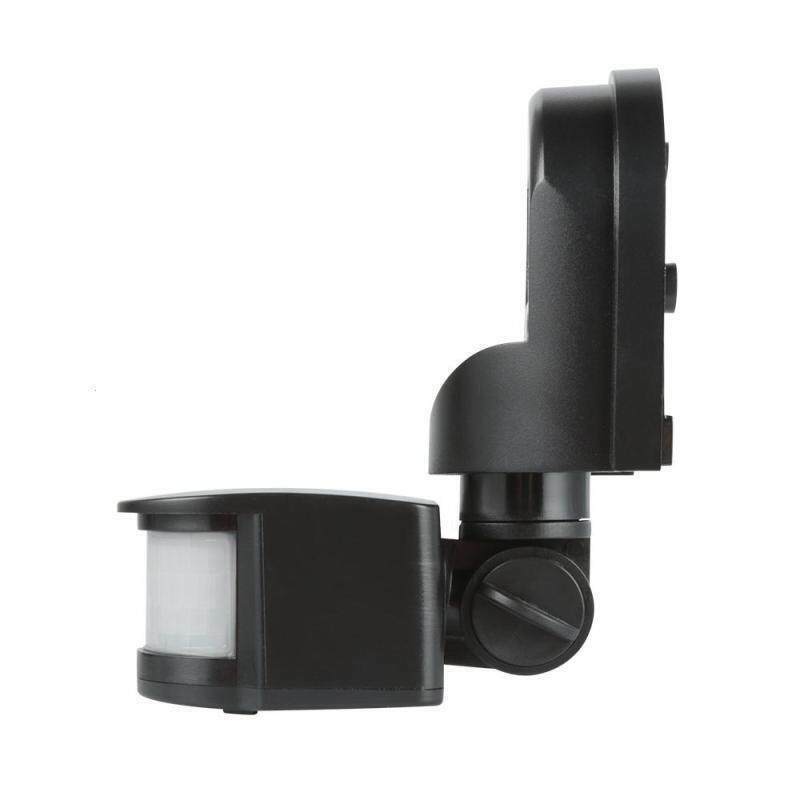 The infrared motion sensor could be adjusted according to your desire: when turn to SUN(max), it will work day and night, when turn it to MOON(min), it will only work in the ambient light less than 3LUX. 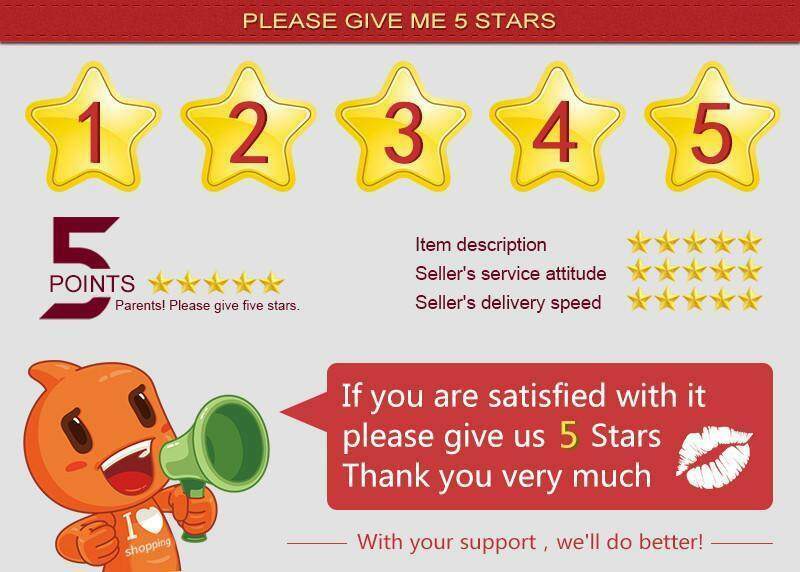 Time delay is adjustable, can be set according to your desire, the minimum is 5sec±3sec,the maximum is 15min±3min. What's more,when the sensor receives the second induction signal after the first induction, it computes time again on the base of the rest time of first time delay. 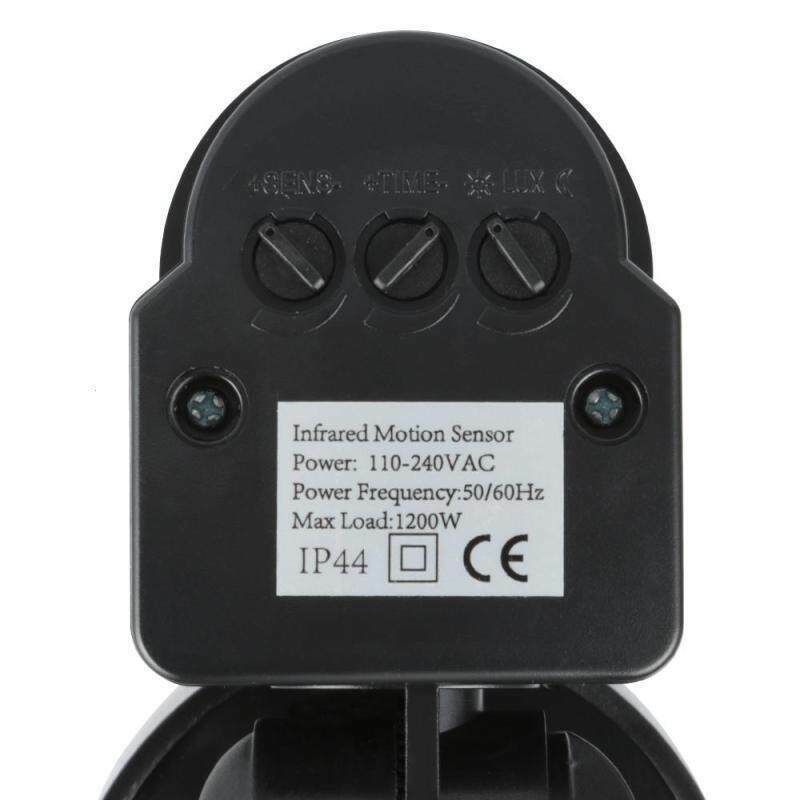 Set up a knob to adjust sensitivity which is adjust the distance of detection. 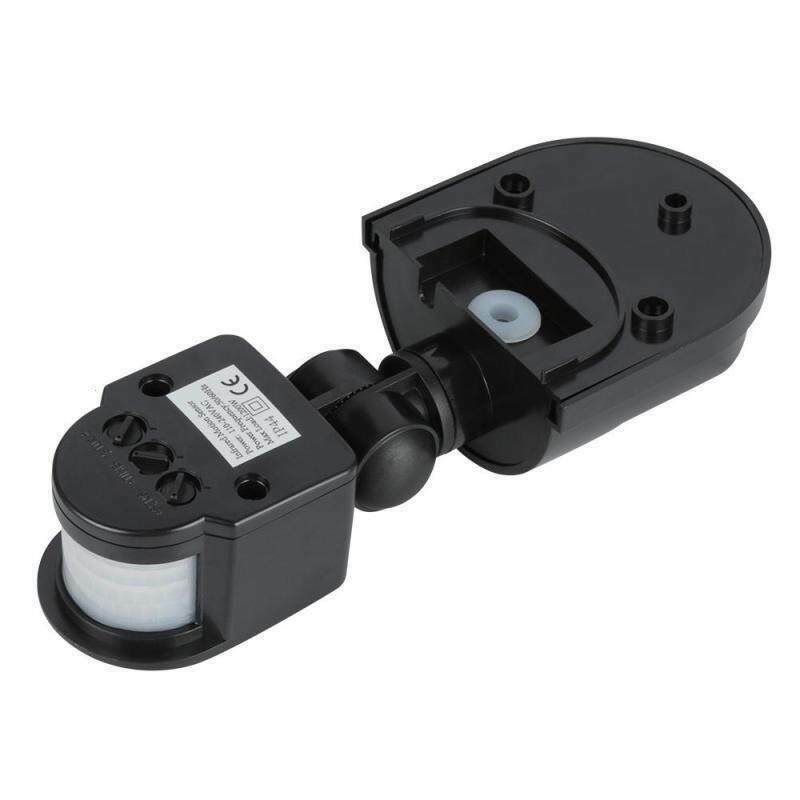 The range of detection can be adjust between 5m to 12m. 1.Should be installed by electrician or experienced person. 2.Avoid installing it on the unrest object. 3.There should be no hindrance and moving objects in front of the detection windows to effect detection. 4.Avoid installing it near air temperature alteration zones such as air condition, central heating, etc. 5.Considering your safety, please do not open the cover when you find the hitch after installation.